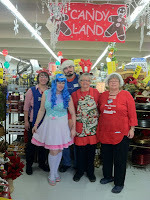 Saturday's Christmas in Candyland event in our local Beverly's Fabric & Craft stores was a huge hit! Guests enjoyed refreshments, free crafts, and FUN during their visits. 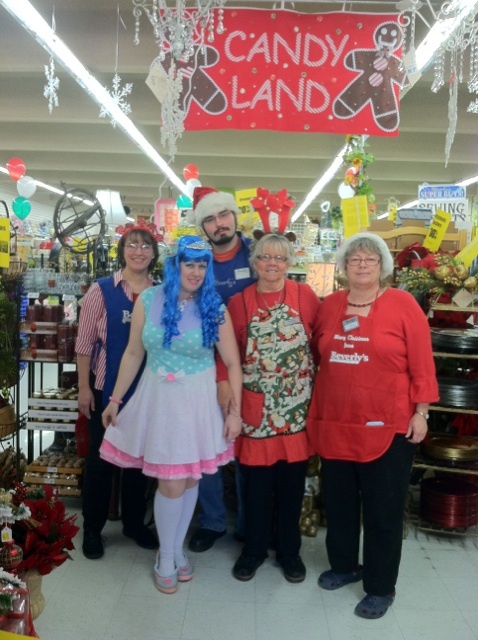 There were also sightings of Queen Frostine, Princess Lolly and even King Kandy in some of our stores! The crafts from Christmas in Candyland are now available online for you to make at home. You can find them by clicking on the pictures below. Let the sweet holiday crafting begin! I'll be by tomorrow at the Modesto store to pick up some Jute material.